This statistic shows the most important customer service attributes in contact centers worldwide as of March 2013. 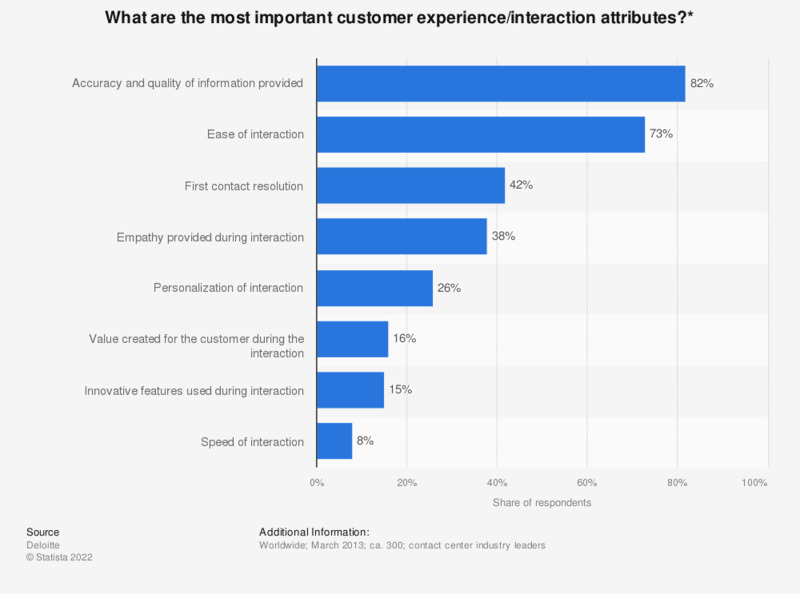 During the survey, 42 percent of contact center industry leaders said that first contact resolution was of the highest importance in customer interactions in contact centers. * Only answers of "highest importance" are included in the statistic. Other options were "moderate importance" and "lowest importance."